The western world is moving towards lifestyles that require less and less resilience. Physical hardship for many children is becoming a rarity as western parents live up to their dreams of making their children’s childhoods free from suffering. These parents find instead they have to re-engineer character-building activities into their children’s experiences so that they are able to cope with a variety of challenges. Or, they find that they have raised youngsters that lack resilience and struggle to cope with the slightest hiccup in their plans. In contrast, the young people we work with in EducAid have often overcome such extraordinary challenges, especially as they pursue and persist in education that I find myself looking once again at such very different worlds, searching for parallels. One area where we do see the need for change and increased perseverance and the ability to take risks is amongst the girls. 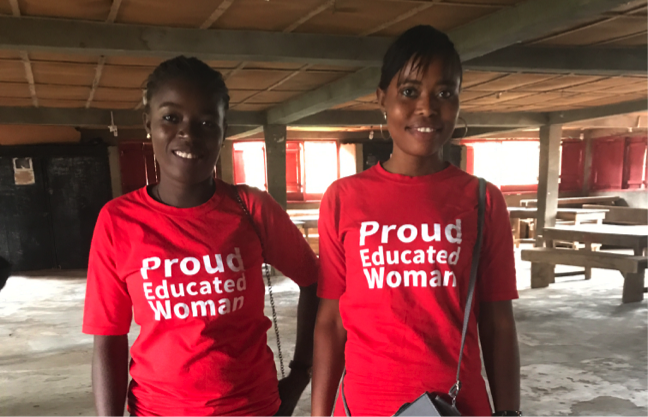 Girls’ education tends to be a low priority in Sierra Leone and girls are told either literally or through social messaging that they a. do not need education and b. are not intellectually capable of education. In order to overcome not only the barriers that exist because of their poverty as well as the barriers put in their way by the social structures that devalue girls’ education and girls’ ability to be educated, we need to help them to find the most extraordinary courage and determination. This summer, hundreds of people were killed by a mudslide and floods that took place in the middle of the night in the valley in which EducAid’s Freetown school is located. While the building was untouched, many of the youngsters who attend our school were living in the neighbouring areas which were most seriously affected. The situation was chaotic and it took weeks to find and account for everyone. In the following weeks, we learned that 84 of our students had lost everything with many losing their families too. We also learned that 4 of our students died that night. Among those affected by the mudslide, were seven young women who had decided not to go to their families for the school holidays, as in their villages they would struggle to keep up with their studies. They had borrowed a room from a neighbour so that they could come to school and take extra classes. On the night of the fateful flooding, they were woken by banging on their door but were too frightened to open it. By the time they understood the problem, it was too late and the weight of the water made it impossible to open the door. They had to jump out of the back window into 4 feet of rising floodwater in the dark with just their knickers and a ‘lappa’ (cloth) tied round them as they scrambled to safety. They escaped with their lives and nothing else beyond some bruises and grazes. The water was over the roof moments later. When the water subsided, there were bodies stranded everywhere. Telling me the story a couple of days later, their major concern was for the replacement of their books which had been lost along with everything else. The trauma they had gone through was horrific, but their priority was their education. They had still not taken themselves off to seek greater safety or solace with their families. They moved into the school and got their heads down, focusing on their lessons and studies. We’re regularly amazed by the resilience of the young people we work with. Once again, I was moved and humbled. How have these young women achieved this clarity and sense of purpose? How have these women become so determined despite the constant battering of life’s daily difficulties in Sierra Leone? We work actively with all of our girls to help them overcome the lack of self-esteem and self-belief that they usually start life with. We spend a fair amount of time and energy on equality-focused programmes. In our Girl Power Group, the girls and young women are taught not only about their rights and responsibilities to equality, but also to each other. They learn about strong role model women that have achieved extraordinary things through history and across the world. 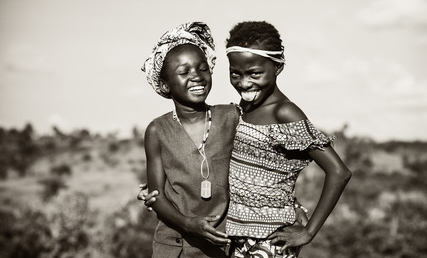 The girls learn that they do not have to be in competition either with each other or with men, instead learning to be partners in development. Of course, in order to minimise male resistance to the girls’ progress and self-fulfilment, it has been necessary to work too with the boys and young men. Our White Ribbon Campaign activities help the men and boys to become champions of equality too. Fatmata and the other girls who experienced such horror and difficulty in the face of the floods stood strong, in large part because of their support of one another. They have a solidarity and friendship that has overcome the all-too-frequent competition that can exist between girls in this society. They have a clear vision that education is the best way for them to achieve a more secure future and that they have the capability to achieve their academic goals. We will continue to challenge and support in equal measure: to challenge any undermining thinking that stands in the way of their achievement and to support the development of strong, positive thinking. This can be the catalyst for great things and together we can become a strong and overcoming community that can take risks and be confident of developing the competence to progress and flourish. If you are interested in knowing more about EducAid please go to http://www.educaid.org.uk/ and if you would like to support our activities with some of the most vulnerable young people in the world, please go to http://www.educaid.org.uk/get-involved/ and make a donation or run an awareness or fundraising event. Whatever you are able to do, we greatly appreciate your support. Thank you!